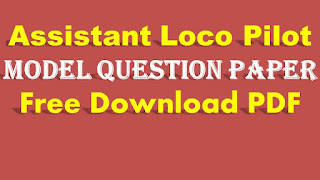 Assistant Loco Pilot Model Question Paper Free Download PDF: hi friends are you searching for the Railway ALP Previous year model papers in this article we are enclosed the PDF link for the loco pilot question papers free download free of cost. Indian Railway Deportment recently Announced for the advertisement for the filling the Asst. Loco Pilot jobs across all over in India. Large number of candidates is eagerly waiting for these Recruitment 2017-18. 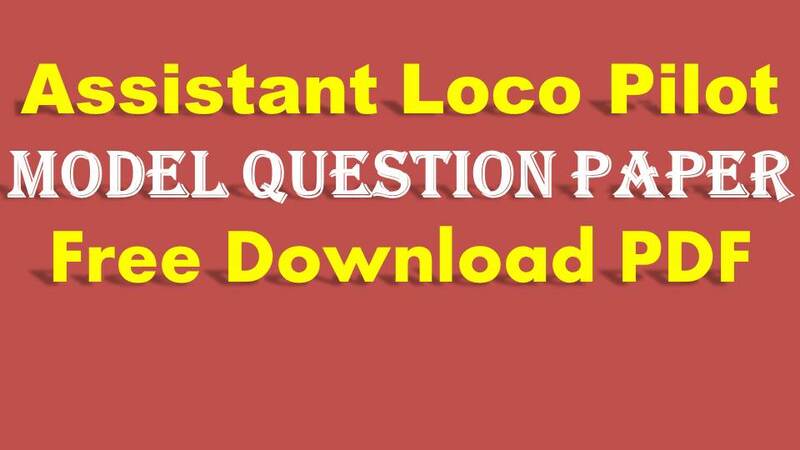 Maximum number of Aspirants is searching around the web for the railway assistant loco pilot previous year questions paper with answer key provided below. These model papers are useful for the computer based test of the RRB Assistant Loco PilotComputer Based Test (CBT). Everyone should analysis the which type of bits are given the written test. Analyses which type of Questions are asked in the written test. Rectify our mistakes in the examinations. We can find which topic we scoring high and low. Increase our capability for getting good score in the CBT Test. Railway Recruitment Board ALP Syllabus and Exam Pattern has classified below. Total written exam having the 120 marks. Time duration for written test is 90 minutes. Down of this paragraph we are given the exam pattern for the Railway ALP Exam 2017.